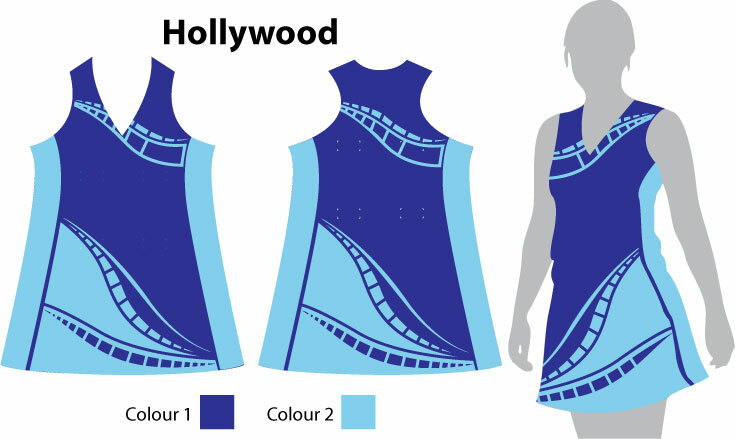 Our Range of netball dresses includes five standard designs which you can alter by changing the colours on any part of the dress. We can also design position patches which adhere to the dress with Velcro or alternatively we can adjust the dresses to fit your existing patches. If you would like a unique design created specifically for your team or you already have an existing design we can work with you to create the exact look you're after.